Livraison offerte pour toute commande supérieur à 80€. 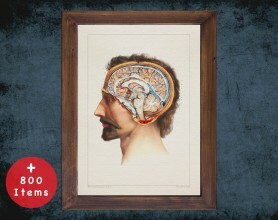 French anatomy art print poster between 1830 and 1850. 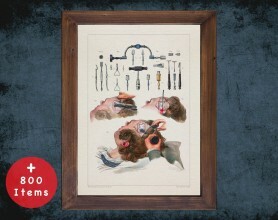 These beautyfull illustration come from a series of hand colored lithographs from J.M Bourgery. 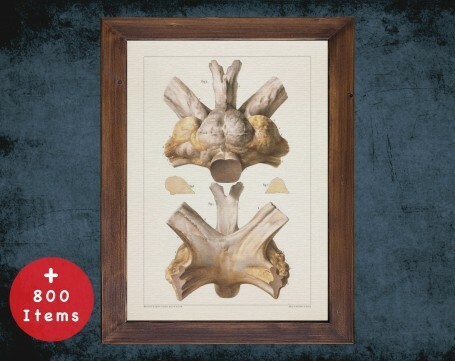 French anatomy art print poster between 1830 and 1850. 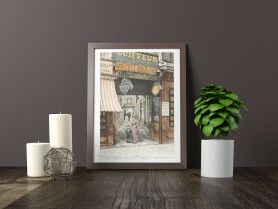 These beautyfull illustration come from a series of hand colored lithographs from J.M Bourgery. 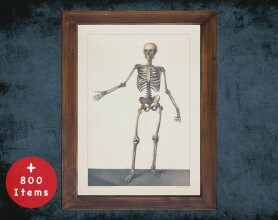 The "Traité complet de l’anatomie de l’homme", is a masterpiece on human anatomy. This was published in eight volumes at the early 19th century. The illustrations was performed by Nicolas-Henri Jacob. 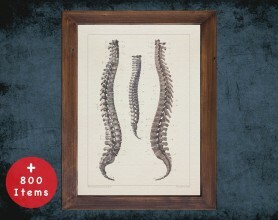 It is considered to be one of the most comprehensive and beautifully illustrated anatomical works ever published. This reproduction print is digitally enhanced while keeping the vintage heritage. Depuis 1948 nous sommes une famille d'Imprimeur, Editeur, Restaurateur. Aujourd'hui nous rééditons des lithographies anciennes, restaurées & imprimées dans notre propre studio graphique.